Dive into the legendary beauty of Maui’s diverse landscapes, unspoiled beaches, and historic landscapes. Maui Kaanapli Villas is ideally located for the guests who have an explorer’s heart. For snorkelers, Black Rock is a must-see destination when you’re in Kanaapali! You won’t believe the marine life you’ll see in these crystal clear waters close to the shore. From sea turtles to manta rays and bright tropical fish, you’ll feel like you’re in an aquarium! This activity is so much more than a fad! Enjoy the relaxation and exercise this low-key sport offers as you make your way atop the glassy Pacific Ocean. You might even spot sea turtles, schools of fish, and beautiful reefs. 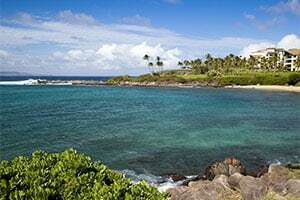 Kahekili Beach has everything you need for an enjoyable day relaxing on the sand, swimming, and soaking up the sun. There are picnic tables, bathrooms, and ample parking. This is a great beach for the whole family to enjoy. This small rocky bay is the perfect spot for snorkeling and seeing sea turtles, or “honu” as they are called in Hawaiian. You’ll also see tons of tropical fish and colorful coral. Make sure you wear you water shoes to protect your feet and those gorgeous reefs! 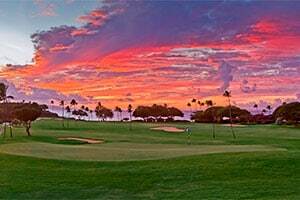 Known for the incredible views, the Kaanapali Golf Courses is an excellent choice for golf enthusiasts. Offering private lessons, junior classes, and 36 holes makes this course a topic pick for vacationers. You’ll enjoy magical views of Kapalua Bay while you play at the either the Bay Course’s championship course or the Plantation Course, the #1 course in Hawaii! 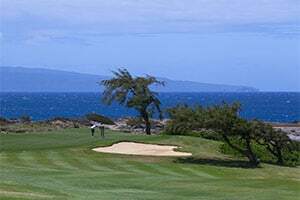 Kapalua also offers private lessons and a Golf Academy. Looking for a great family activity? Parents and kids alike will love this sports park, which offers more than just miniature golf. 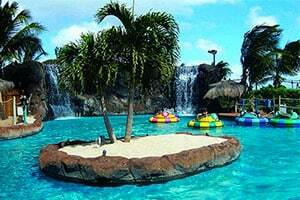 Check out the bumper boats, rock climbing and x-treme trampoline, too!